WASHINGTON—The media love optics and no one understands this better than President Obama. Thus, he invited a gang of Republican senators to din-dins at the swank (and legendary) Jefferson Hotel, one of the city’s more discreet (and expensive) gathering places. Upon exiting, senators were greeted by a hungry throng of reporters and photographers, their appetites whetted no doubt by the cold. How was it? What happened? Did you bond? Sen. John McCain, already engrossed in a cellphone call, gave a thumbs up. Others in attendance granted post-mortem interviews. And the world was glad. Could a Grand Bargain be far away? Hey, it was a free meal. Indeed, the president picked up the tab, a gesture of generosity or, one might speculate, a tiny deposit on a big investment, the returns of which are already rolling in: The media extrapolation that the president is extending an olive branch to his adversaries in search of a solution. A Trojan horse would have been a tad obvious, don’t you think? Not to be cynical, but does anyone really suppose that a Republican congressman or senator is going to go against the party because Obama gave him a call? The president is charming, all will concede. And his smile, such a delightful reward, tempts one to, well, give a thumbs up. It was fun. It was delicious. But read my wine-stained lips: No new taxes. As for Boehner’s endorsement of the president’s strategy to reach out to rank-and-file Republicans, this is what one does with lemons. It’s called lemonade. Bottom line—for once a term aptly applied rather than a cliché—the only long-term deficit reduction involves serious entitlement reform, which everyone knows and Democrats don’t want to do. Cutting transportation budgets or Head Start, as the sequester has done, takes care of about, oh, two days of deficit. Republicans simply are not going to budge on taxes without real entitlement reform. This is not news. Boehner has said as much countless times, but the problem with Washington is that the same statements repeated endlessly begin to sound like the helicopters and sirens that punctuate the city’s soundtrack. Background noise. Where does this leave us? Anything can happen, obviously—who would have predicted that Dennis Rodman would become an emissary for North Korea?—but it is no stretch to imagine a stalemate until a clarifying 2014 election. By then, the stakes will be clearer. Despite a positive jobs report (236,000 jobs added to non-farm payrolls in February), unemployment is still at 7.7 percent. Also, the real pain of the Affordable Care Act, aka Obamacare, will have kicked in by then, including about $1 trillion in new taxes—from higher insurance premiums to a 2.3 percent levy on medical-device companies that will trickle down to patients. Finally, many employers will have begun pushing employees into insurance exchanges because it will be cheaper to pay government fines, thus revealing a big-ish inconsistency: Obama’s promise that everyone can keep the insurance they have and like. They can as long as their employer is on board, but many companies won’t be because they can’t afford the higher cost. Obamacare, which is predicted to add 15 million (or more) new people to the Medicaid rolls, is the elephant in the room and no one’s budging. Which means there likely will be no significant entitlement reform. Which means there will be no tax increases. And no yellow-brick middle road is going to get us there between now and the midterm elections. Whereupon: Democrats will run against those terrible Republicans who refused to raise taxes. Republicans will run on the Democrats’ record of no-growth and out-of-control spending, assuming, that is, they can figure out how to effectively communicate the message that no-growth is connected to Obama policies. Breaking bread with foes is always worth a few crumbs of good will, but the Jefferson Hotel dinner may have been the last supper. 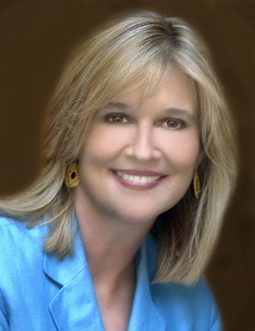 Kathleen Parker’s email address is kathleenparker@washpost.com. (c) 2013, Washington Post Writers Group.